IP65 rated with switch start control gear. 58W. BSI kite marked and F marked. Corrosion resistant glass reinforced polyester (GRP) body with an acrylic prismatic controller and toggle clamp controller fixings. Quick and easy to install and maintain, excludes tubes. 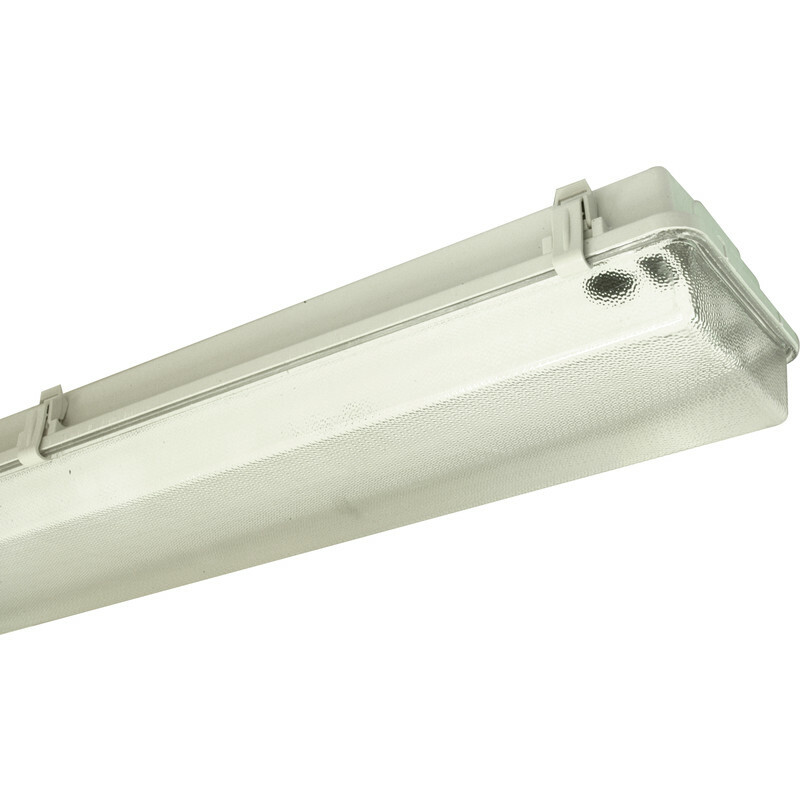 Weatherproof Fluorescent Light IP65 1500mm 58W Twin is rated 4.3 out of 5 by 27. Rated 5 out of 5 by DGWE from Good quality at a decent price. I have had this before and found it to be real good quality at a decent price. Rated 5 out of 5 by Clive82 from Brighten up your garage Bought these. Easy to install. Look great and offer lots of light with the tubes i have installed.